The NHR programme in Portugal in earmarking the Algarve and Lisbon areas as a retirement haven in Europe, it is quickly becoming a hotspot for French, British and Scandinavian professionals looking to benefit from the reduced taxes and tax-free pensions this wonderful programme has to offer. With the lure to spend your retirement in Portugal as a foreigner and not have to pay any tax on the pension, you receive for the next 10 years the Portuguese NHR programme is attracting some of Europe’s wealthiest individuals that in turn are helping to build a much stronger economy. The programme was created in 2009 and updated in 2013 to reflect that pensions would be tax free, once this happened the number of applications raised dramatically, from 2009-2012 only 100 applications were submitted but after the update there were more than 1,000 applications in 2013 alone, in 2014 this rose to 3474 Applications and the numbers just keep rising. The regime is focused on 2 sets of people, Retirees that are receiving pensions from overseas and Professionals that are either employed or Self-employed, some of the professions accepted are; Directors or Company Managers, Doctors, Architects, Engineers, Artists, University Managers and other professions of similar stature. To qualify for the regime, you must not have been resident in Portugal during the last 5 years and there are several documents that the government will request to prove this fact. Once accepted in to the programme you will qualify for all the tax breaks and conditions for 10 years, with pensions from outside of Portugal becoming Tax Free, Workers in high added value professions will pay a tax rate of 20% on earnings in Portugal and a significantly reduced rate on any income earned outside of the country. The rate paid on foreign income from outside of Portugal is dependant on the tax agreements Portugal has in place, every nationality is different, and it is important to get sound financial advice from tax experts to ascertain exactly what deductions you qualify for and to work out how much you could benefit from the Portuguese NHR scheme. 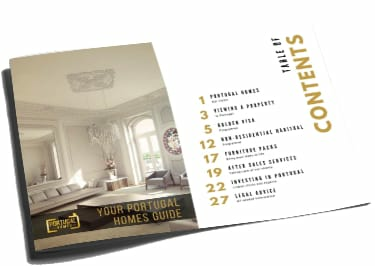 For a full detailed breakdown of the NHR along with a list of Portugal’s tax agreements with each individual country just download our Guide to Portugal for FREE, alternatively request a call back from one of our experts to discuss your personal requirements in more detail.